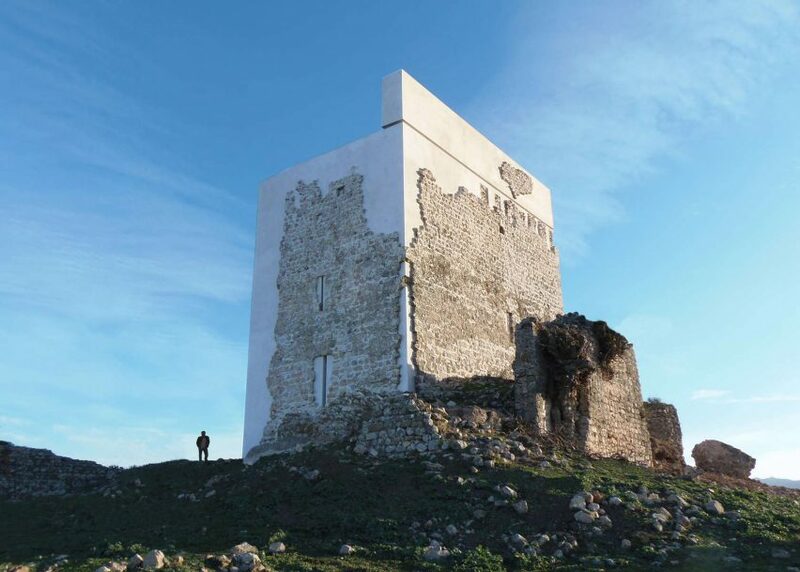 A+Awards: Spanish firm Carquero Arquitectura received a 2016 Architizer A+Award for this restoration of a crumbling hilltop castle near Cádiz. After standing for around 1,000 years, Matrera Castle partially collapsed following a long period of abandonment, leaving only a couple of walls remaining. Carquero Arquitectura was tasked with rebuilding the monument to reinforce the existing structure and prevent further collapse. Rather than replicating the original stonework, the studio filled in the missing sections with a contemporary addition to create a distinction between old and new. Lime plaster similar to samples found on the site was used to render the new portions of the structure, creating a stark contrast with the darker stone. "The proposal aims to avoid the aesthetic mimicry that involves falsification or loss of value of authenticity and, in parallel with the practice in intervention of movable heritage, its historical value is enhanced," said Carquero Arquitectura. The renovation project, which took five years, was heavily criticised by Spanish heritage bodies and locals when it was completed in 2015. However, the project was lauded in the Architecture + Preservation category at the A+Awards 2016, and also received a Popular Choice recognition from a public vote. Entries are now being accepted for the next A+Awards, with a discount available for submissions before 4 November 2016.